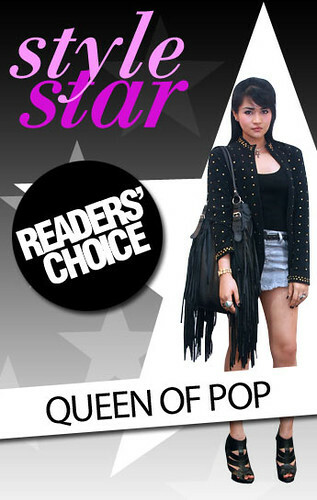 Thanks to all those who voted for me over at StyleBible!!! :) Thank you, thank you, thank you! congrats raleene!! i voted for you, 5 times! heh! and omg!! i love you and your sister!! you are both so talented. Coooool. :D I voted for you 3 times. and i read the instruction that anyone can vote as many times as they want....so I did. Do u win some sort of prize? Thanks so much, Amberr! :) I don't know about the prize. Haha!